Q. Can homeplugs be used on different ring mains in a house? A. Yes its standard for a domestic home to have various ring mains, one power & lighting circuit for each floor and well as cooker circuits, outdoor plug and buildings etc, as long as all these come of the same consumer/fuse box the homeplug signal can happily cross this for each floor the same as your power does. Q. Can I mix homeplugs speeds? A. 85mbps & 200mbps use different frequencies to communicate and can not talk to each other. 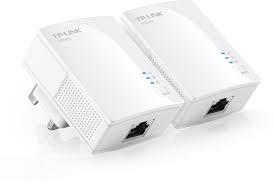 200mbps use a common frequency with 500mbps, so they will talk to each other, the limit will be the slowest plug. Q. Can i use homeplugs with a MAC, Linux, PS3, Xbox 360, Sky Anytime+, Humax freest box, Iplayer enabled TV, DVD players etc? A. Yes homeplugs are operating system independent, they will happily work with any product with a standard ethernet port that needs an internet connection. The software supplied with all models is not needed for the plugs to work and only provides a utility in the most part to see how they are performing. Q. Can i use homeplugs in extension sockets, Surge protectors? A. No this is not advised as the interference can be too great and surge protectors will block the signal. If you are very low on sockets its advised to use a pass-through type homeplug, plug this into the socket first and them plug the extension into the front of the home plug, the socket on pas-through homeplugs is filtered for interference. Q. Can the signal be used by houses around me? A. The meter acts as a natural block to the signal and should not leak past this. Homeplugs will also not cross phases and generally the phases are swapped on houses up the street to balance the load. If your are in shared accommodation then it would be advised to use the security setting on the plugs to block others joining, this is done by pressing the nmk/security/pair button on the first plug and then within minute pressing it on the other, this will lock them together and not allow others to join, if you add more plugs do the same again to add further units.